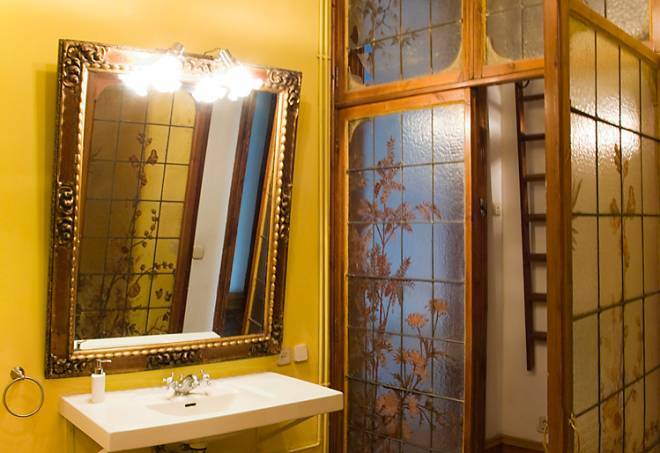 220 square meter (2500 sq.ft) corner apartment with 6 huge French doors and wrap-around balcony, offering exquisite views of the Parque de la Ciutadella, Museo de Zoologia, and the glass-roofed Invernadero. 4 bedrooms accommodating 7or more, perfect for families or groups, 20 foot ceilings and enormous salon, huge fully equipped modern kitchen, Modernist stained glass doors and original Gaspar Omar furnishings in master bedroom, 2 exquisite bathrooms with tubs. 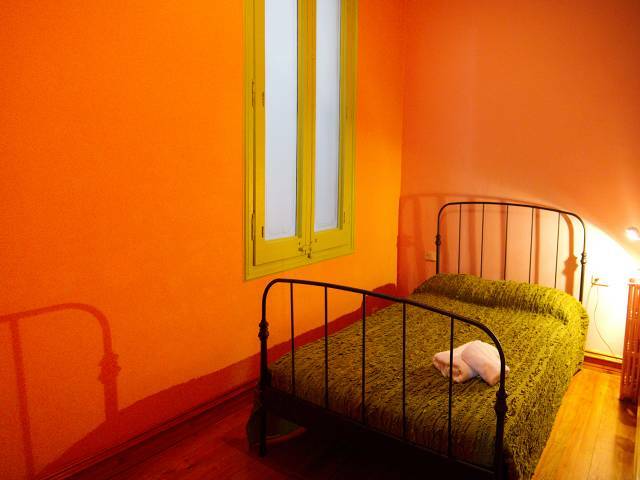 Located in the trendy Borne area steps away from dozens of restaurants, bars, and the Picasso Museum, Cathedral, yet tucked away in a quiet corner. Few apartments like this one anywhere in the world, in a dream of a city! 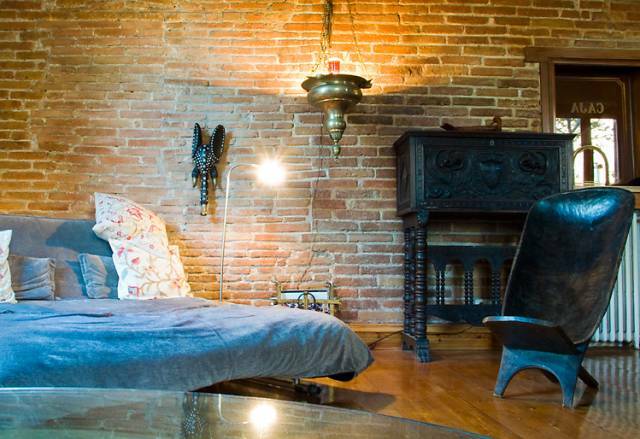 This apartment absolutely unique and unforgettable. 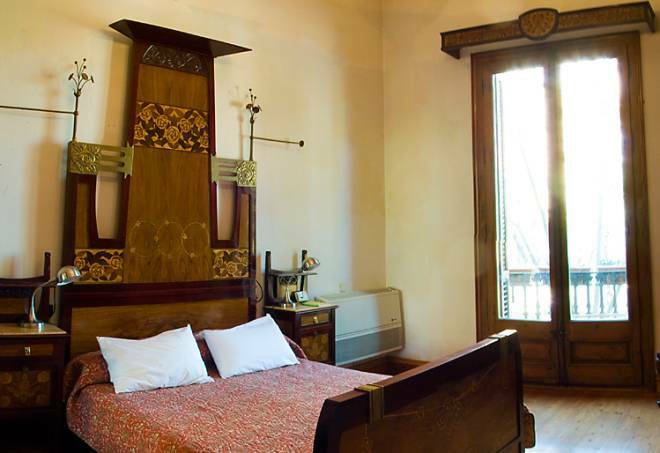 The Princess Palace apartment has four bedrooms and two bathrooms. 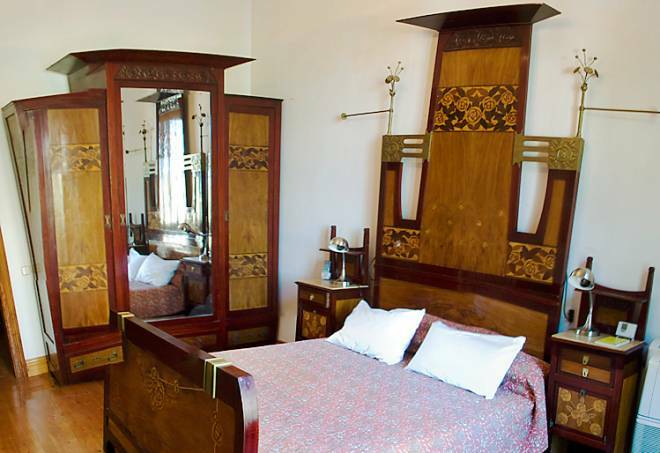 Two of the bedrooms come with double beds, the master bedroom has a spectacular double bed and comes with wardrobe space for the guests belongings: the furniture is designed by Goudi’s protégé, Gaspar Homar. Both of these bedrooms have lots of natural light as they are exterior facing and have large, floor to ceiling French windows. The other two bedrooms are decorated in a kid-friendly fashion and sleep two persons in each room, and are a really nice feature in the house. Most of the apartment comes with hard wood floor which adds to the warmth and welcoming feel throughout. 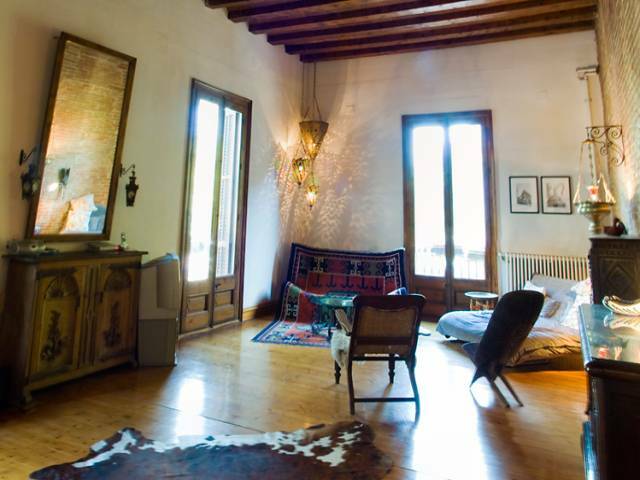 The living room is quite spectacular, with exposed brick in one of the walls, the typical exposed wooden beams and the most unique and wonderful objects that are used to decorate the room such as "el sofa de la alfombra magica de Tusquet" the magic carpet sofa, make it a truly lovely place to sit back and relax before heading out for a meal in one of Barcelona's excellent restaurants, or to recover from a day of sightseeing or shopping. Another wonderful feature of the Divina apartment is the kitchen. 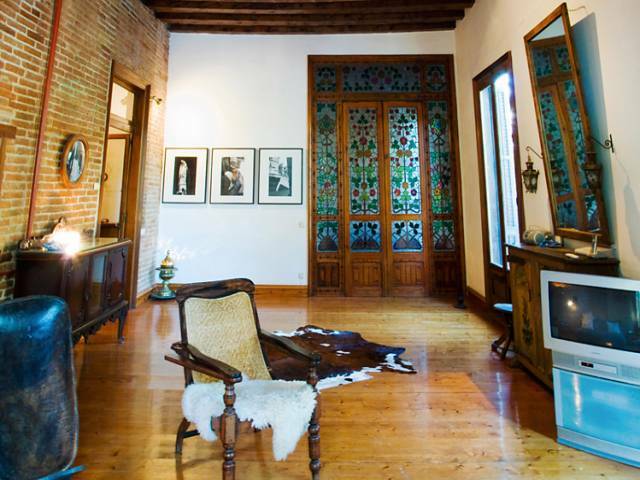 It is brand new but blends beautifully with the ‘old world’ style of the apartment, including original modernist tiles above the stove, and the most spectacular 15’ tall stained glass modernist doors leading to the living room. 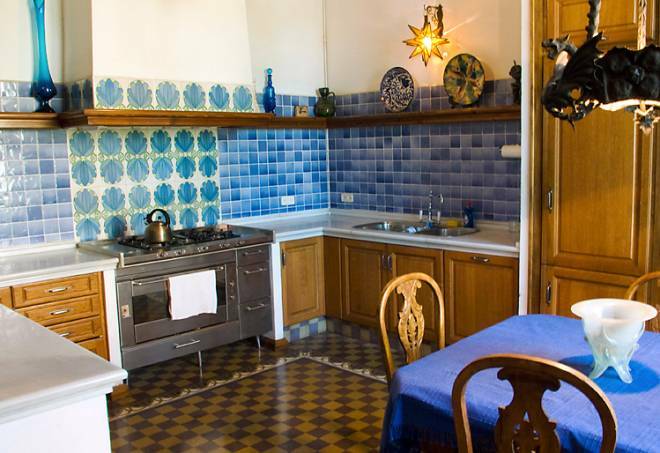 In the kitchen you will also find a large antique table and chairs so that you can enjoy any meal you may decide to prepare. The kitchen comes with all the basic modern appliances in order to make your visit to Barcelona a hassle free one.